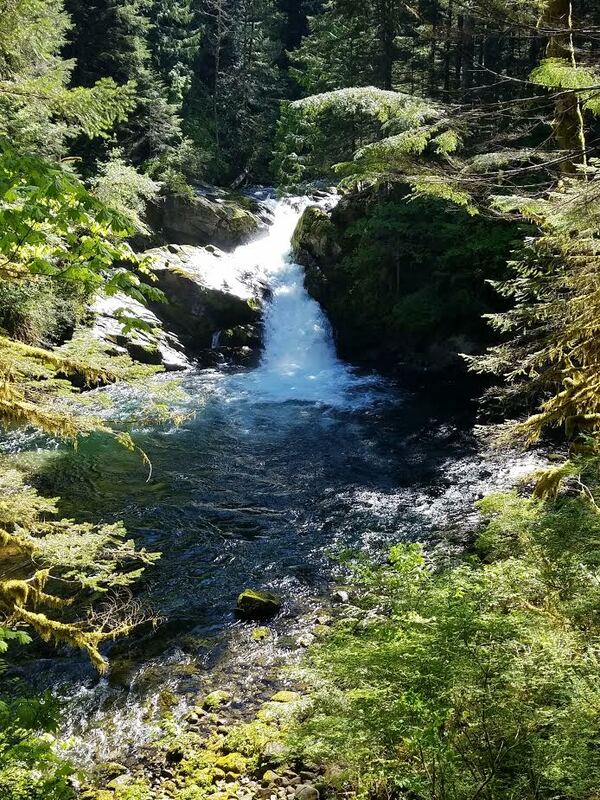 This is a partial loop hike along Siouxon Creek, located east of Amboy. The trail follows along the pleasant, forested valley of Siouxon Creek nearly the entire way. 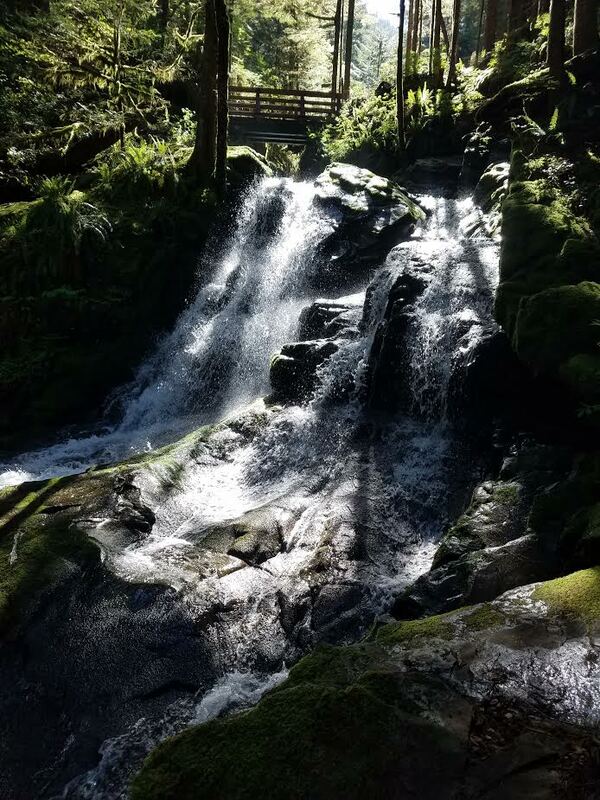 However, this hike is all about waterfalls. There are five of them, spaced throughout the trip and each unique. 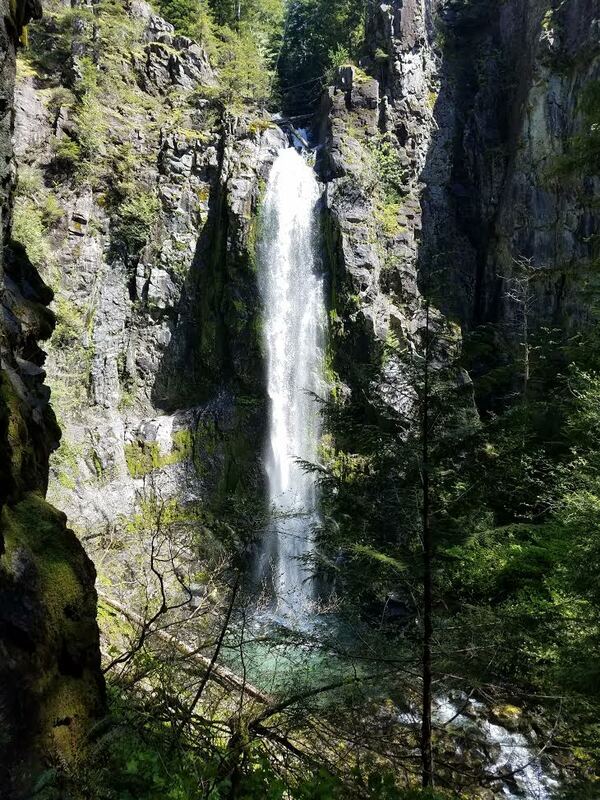 Wildcat Falls is a tall, thin drop, while Chinook Falls is tucked away in a small bowl at the halfway point. The recommended loop version of this trip requires a simple ford of Siouxon Creek, so bring extra shoes. Other trip variations are possible, as listed on the trail map. 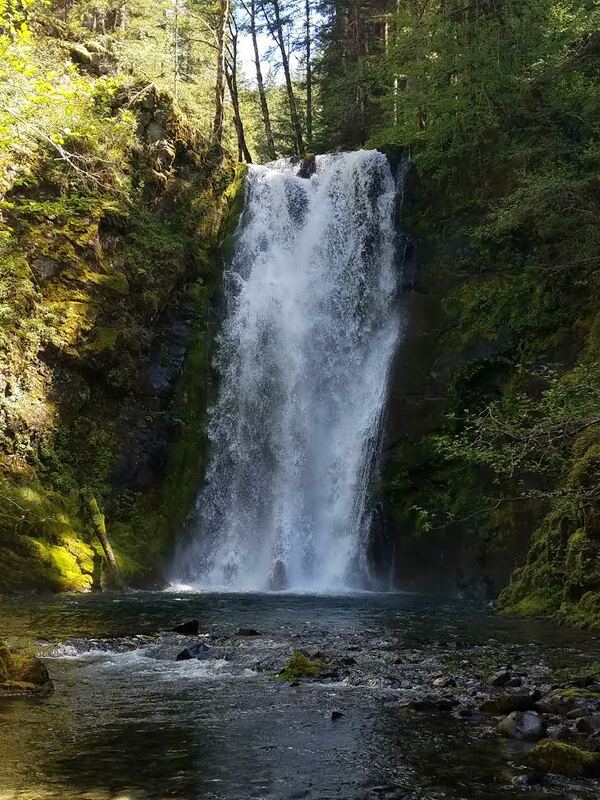 Late spring with substantial water flows is a good time to see the falls, but also great during hot summer days when big trees and water are welcomed.